In 2016 it was announced that Central House, the building that houses London Metropolitan’s Sir John Cass School of Art and Design, would close at the end of the academic year 2016/17. Central House Assembly has been conceived in reaction to this situation. 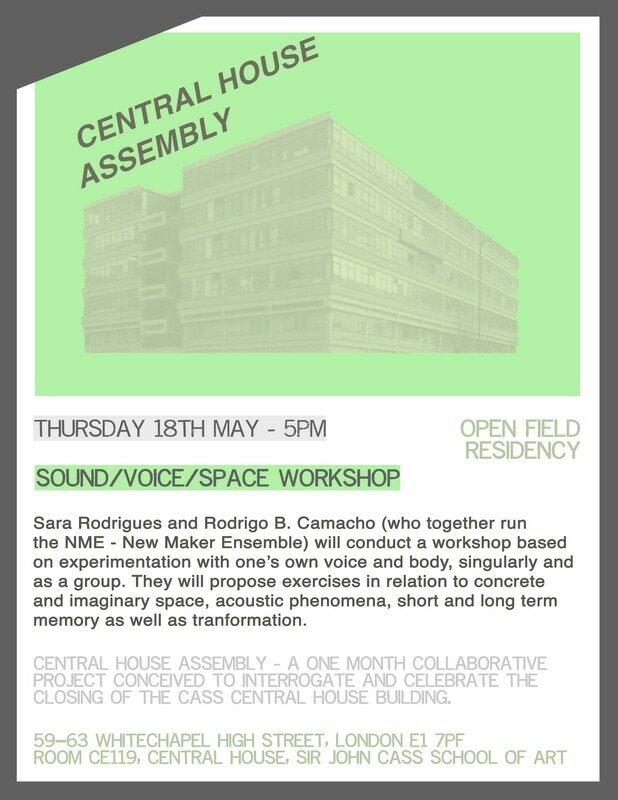 Proposed by Sara Rodrigues and Henry Mulhall, the project was formed as a collaborative residency operating under the Open Field program. 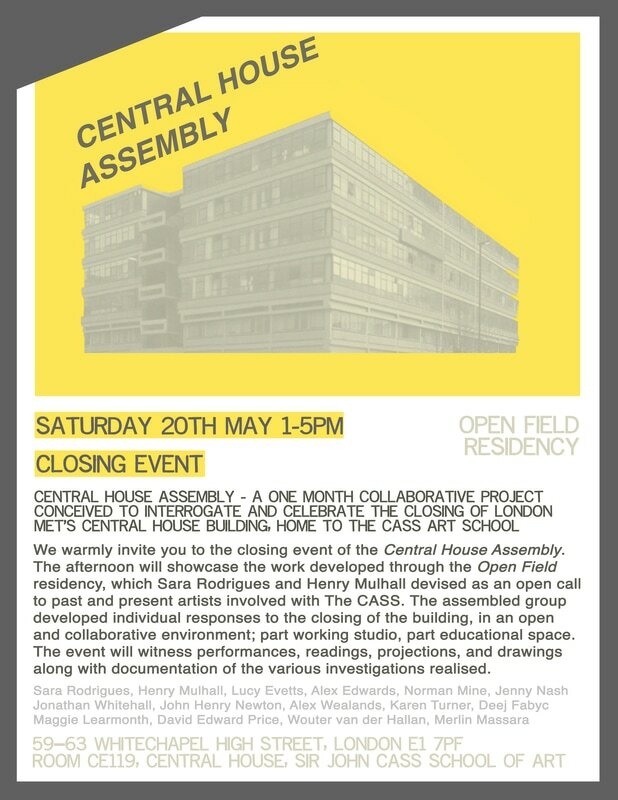 An open call was sent out to current and former students, teachers and friends of The Cass asking for proposals to celebrate and interrogate the closing of Central House. 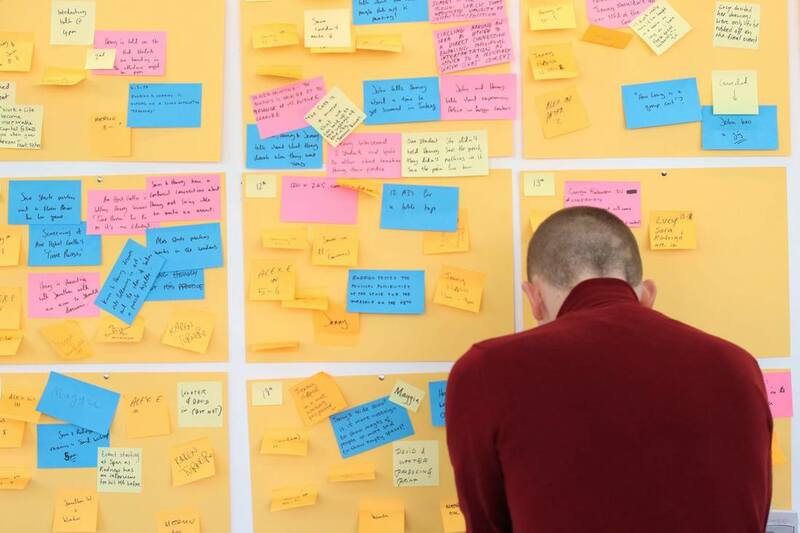 The residency space was turned into an open studio, experimenting with methods of teaching, learning, and making, complimented by a series of public events and workshops. 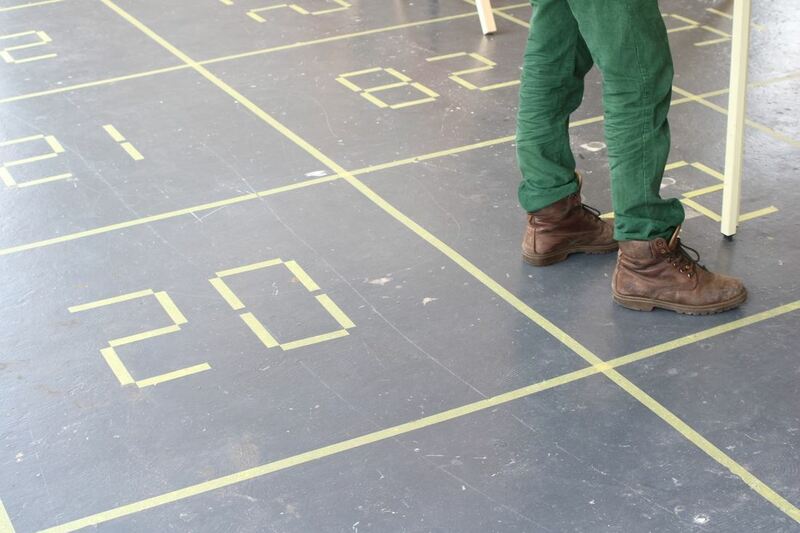 A Structured Form of Play turned the room into a board game, having all the works created throughout the residency engulfed by it. Potentially played by anyone related to The Cass, a task would have to be performed in each of the squares they would land on, referencing either a specific work by one of the artists or a feature of the building, depending on location. A bodiless voice would narrate the game, introducing each square the players landed on, accompanied by excerpts of 'Who Wants to be a Millionaire' and 'The Weakest Link' sound tracks. Additionally, a relevant excerpt from a conversation recorded during the residency would also be played. Questioned by ideas of 'how can one be a good artist? ', 'what would Central House be turned into after it's demolishment?' or 'would you like to exit now? ', the players navigated the game as if they were dually trying to get through their degree or just life in general.